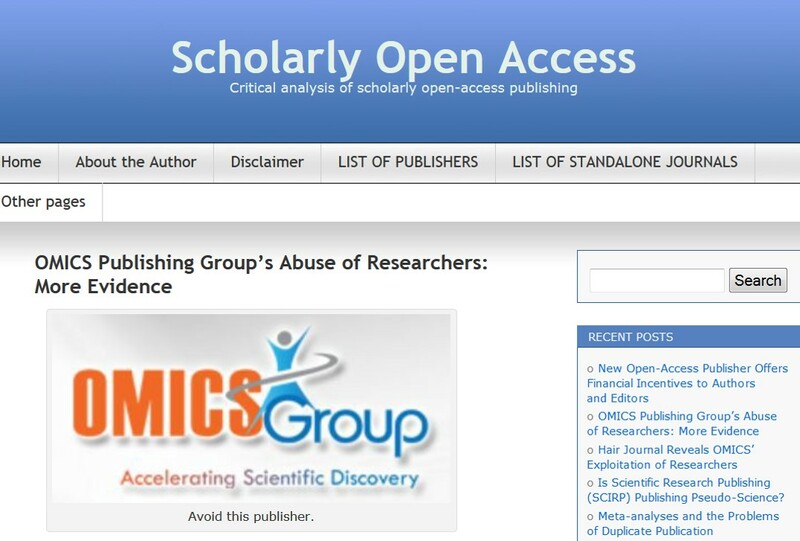 Stop Predatory Journals (predatoryjournals.com) lists publishers and journal titles that are deceptive in their publishing practices (see criteria below). This list is based on the original Beall's list at ScholarlyOA.com. The bottom line is to always check with your advisor before submitting a manuscript for publication - they know the best journals. Charging exorbitant rates for publication of articles in conjuction with a lack of peer-review or editorial oversight. 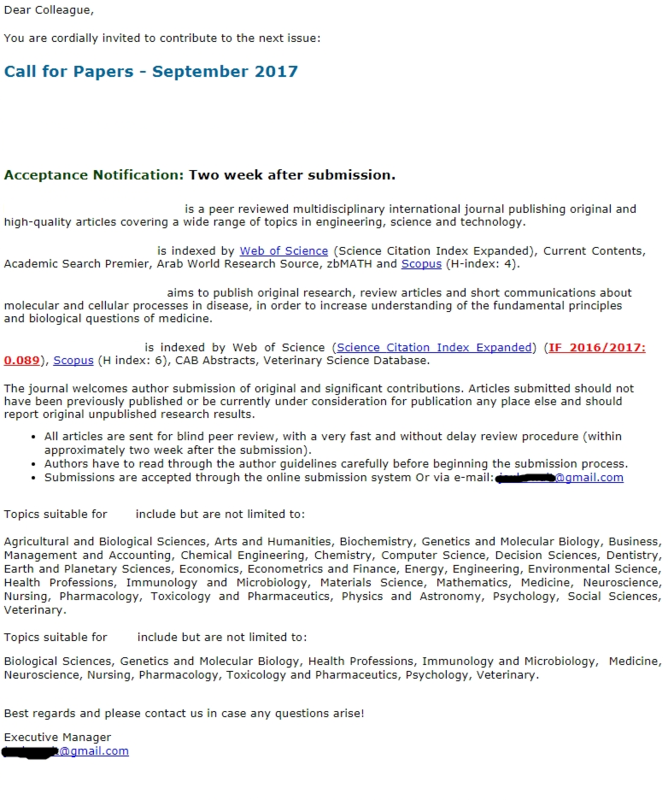 Notifying authors of fees only after acceptance. Targeting scholars through mass-email spamming in attempts to get them to publish or serve on editorial boards. Quick acceptance of low-quality papers, including hoax papers. Listing scholars as members of editorial boards without their permission or not allowing them to resign. Listing fake scholars as members of editorial boards or authors. Copying the visual design and language of the marketing materials and websites of legitimate, established journals. Fraudulent or improper use of ISSNs. Giving false information about the location of the publishing operation. Fake, non-existent, or mis-represented impact factors. Always check with your advisor before publishing...do not respond to unsolicited emails. They will charge you to publish (like $300! ), there is no peer review, and you won't be able to resubmit your work elsewhere.